RALEIGH, North Carolina (WPVI) -- A Marine Corps veteran bicycling down the Atlantic Coast is the proud winner of $200,000 thanks to a trip down memory lane and a stop in Wilmington, North Carolina. According to WTVD-TV, Mark Bruso, who is from Fitchburg, Massachusetts, said he has been trying to visit the places he was stationed during his six years in the Marines. He's been bicycling down the Atlantic Coast since the beginning of July. His final destination was Florida, but some bad luck led him to Wilmington. While waiting for his bike to get repaired, Bruso stopped at the Speedway on Market Street in Wilmington and bought a $5 Frenzy scratch-off ticket. "I didn't win anything," Bruso said. "So I went to a nearby deli and got a sandwich. When I finished, I made a spur-of-the moment decision to go back and get another ticket. I figured I already got the losing out of me with the last ticket, so the next one must be a winner." When Bruso scratched the second $5 ticket, he couldn't believe it - he won $200,000! 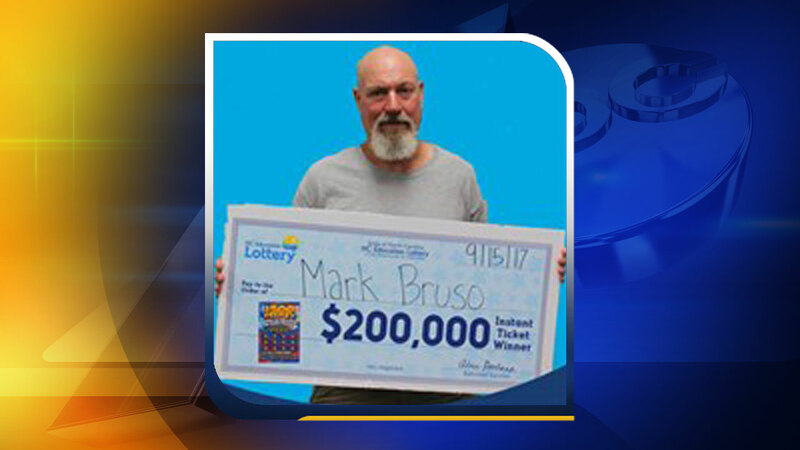 Bruso claimed his prize Friday at lottery headquarters in Raleigh. After required state and federal tax withholdings, he took home $139,003. He said he plans to use the money to continue his bicycle tour.